Jojoba (pronounced as “hohoba”) is a special type of plant that abundantly grows in the barren areas of Mexico. The seeds of this amazing tree yield an oil, known as the jojoba oil. This oil is remarkably similar to the natural sebum that is secreted from our skin glands. For centuries, this oil has been used to treat skin problems. Jojoba oil acts as an organic and natural skin conditioner that finds application in a number of beauty products today. The refined oil is completely odorless, and as a result, there is no need for adding any artificial fragrances in the cosmetic products. 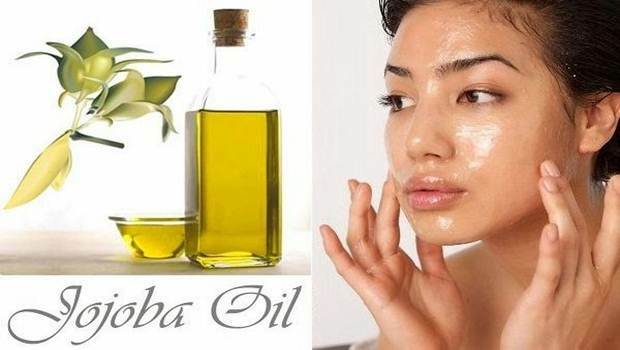 If you are looking to cut down on the toxic ingredients in your skincare then you should definitely consider using the amazing jojoba oil as your makeup remover. Pure Jojoba oil has manifold benefits for the skin, making it an ideal makeup cleanser. Contains Alpha, Gamma & Delta Compounds which are prime sources of Vitamin E.
Organic jojoba oil does wonders for your skin. The natural goodness of this essential oil provides the much needed nourishment to your skin, deeply moisturizing the skin pores. It soothes the skin, especially the supersensitive areas around the eye, erasing all the wrinkle lines. It is widely preferred choice for removing the harsh traces of makeup and impurities from your skin, as it is 100% safe and organic. If you pay attention to the list of ingredients in most of the makeup removers, I am sure you will feel disappointed. It also does not help if you wash your face with your favourite herbal face cleanser. You might just end up looking like a racoon. The perfect solution to this is the use of the sumptuous jojoba oil as an effective makeup cleanser. A lot of makeup products that are available today are naturally resistant to water. So when you use water to remove it, you have to do a lot of rubbing that can lead to damaging your sensitive skin. 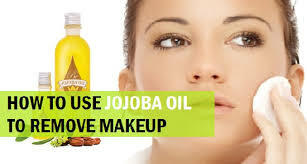 Now, instead of using chemically harsh soaps or makeup removers, it is ideal to use jojoba oil to clean all your makeup. Owing to its greasy nature, the essential ingredient helps to break down the stubborn waterproof makeup formula. Thus, it helps in easy makeup removal and at the same time keeps the skin moisturized. How to Make Jojoba Oil Makeup Remover at Home? A makeup cleanser is a significant skin care product which each one of us is using in our everyday lives. And I am sure all of you would be spending truckloads of money on it. Most of the makeup removers that are available in the market contain jojoba oil because of it multifarious benefits for the skin. So now when you know the prime ingredient, why not make one yourself? This recipe is extremely simple and most effective. 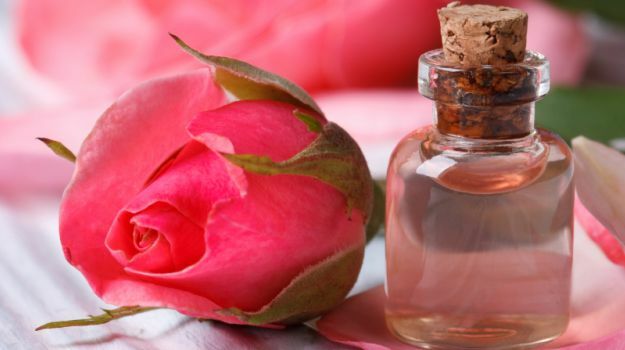 With two simple ingredients of rose water and jojoba, it has absolutely fantastic effects on the skin. It helps to keep your skin healthy and nourished, saving it from all the cracking and dryness that could have been caused owing to the use of any chemical remover. Combine the two ingredients together in a container. Shake it well before using. Apply a little to a cotton ball and gently rub your eyes and your face with this makeup cleanser. Take a soft and clean cloth to remove your makeup. Repeat until you find a clean face. This is an amazing cleansing recipe typically used for cleaning the eye makeup. The phenomenal blend of all the organic ingredients help to deeply nourish and moisturize your skin. With this recipe you can easily protect the super sensitive eye area and prevent it from become rough and dry. Apart from this, you can save on a lot of money by not going in for any chemically harsh makeup removers! 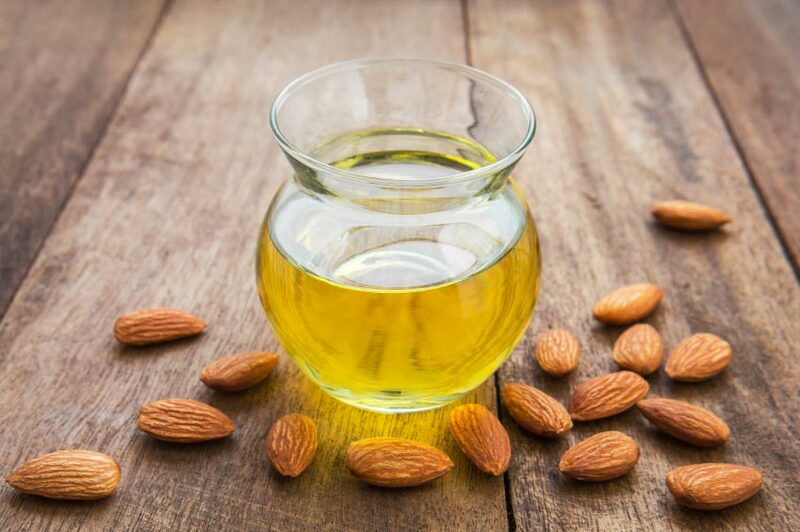 Mix the given amounts of jojoba oil and almond oil in a glass bottle. Add the few drops of vitamin E oil. Shake well. Apply the mixture on your face and massage gently in a circular direction using your fingertips. Use a swab of cotton to clean your eyes. Even the eyeliner will come off without any rubbing. This is the simplest of all recipes that uses jojoba oil in combination with water. It helps to effectively remove all the makeup impurities while making your skin hydrated. It is a perfectly non- allergenic cleansing solution that will give you a radiant looking skin, without making your eyes sting! Mix the jojoba oil with the given amount of water and store in a container. Make sure to shake it well before using it. Apply it on your face. Taken a cotton swab moistened with rose water. Gently clean the face along with the eye makeup. Going through the above post, you now know that making your very own jojoba oil makeup remover is rocket science. With the simplest of the techniques, you can nurture the natural goodness of this oil and get a healthy looking and radiant skin type. So wait no more. Go make yours now! 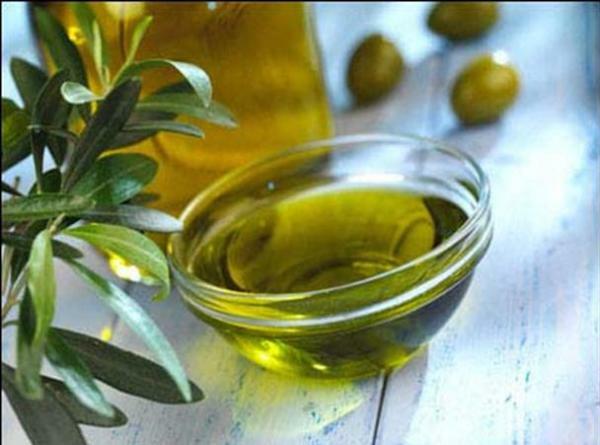 It is generally seen that jojoba oil does not have any side effects on the skin. However, it is always advisable to perform a little patch test before using it on your face. This will help you to determine your skin’s sensitivity towards it. You can apply the oil overnight on your wrist and check the results in the morning.